Solar installers looking to add storage to their businesses face a number of challenges, but software solutions can help them with the first hurdle: Analyzing and demonstrating the value of storage to potential customers. Utility rates and storage credits vary widely across the country, so software can do the background work for installers and help them relay solar+storage cost savings to customers. Navigating different policies, like Hawaii’s self-consumption rules and California’s time-of-use rate programs, can be difficult for installers and homeowners alike. Platforms like Energy Toolbase work to display the value proposition of adding storage for behind-the-meter residential and commercial customers. Energy Toolbase’s software aggregates approximately 37,000 unique utility rates around the country in its database. “A huge part of what we’re doing is trying to provide better tools to more clearly and simply explain the value proposition [of storage] based on what value stream they’re selling,” said Adam Gerza, COO of Energy Toolbase. Energy Toolbase analyzes demand profile and costs data for a selected date range. Energy Toolbase’s software assesses the rate schedule and value of exported energy, then runs an energy storage simulation against those figures to help determine the value of storage to customers. Although that level of detail could be overwhelming, Energy Toolbase strives to present the information in a digestible way for the everyday solar contractor and prospective customer. Installers can choose from a dropdown of popular battery brands to see the cost savings of each model over time. “If you can’t really concisely explain both the savings and all the other value propositions of storage, it’s going to be an uphill battle and you’re just not going to be deploying a lot of storage projects,” Gerza said. Similarly, HOMER Energy’s microgrid software can help C&I and utility-scale solar developers simulate a storage installation to find the combination of products that make the most economic sense. HOMER simulates a viable microgrid system that a developer may consider over an entire year to help identify the cheapest option, using all possible combinations of equipment. “We really try to work with the battery manufacturers or the storage manufacturers to understand, ‘How will this equipment really operate?’” said Marilyn Walker, COO of HOMER Energy. HOMER’s new microgrid product rolled out in early 2018 and can be used to simulate scenarios like island utilities, grid-connected campuses and military bases. The HOMER Grid start window. Walker said she thinks HOMER stands out by its ability to precisely model storage by incorporating every battery spec that matters to installers. She said taking the step to simulate a project is crucial in a solar+storage installation, where there are so many variables interacting with each other in real time. She thinks simulation should be a regular step of the solar+storage sales process. “I would hope that [contractors] would use it to go beyond hype,” Walker said. Ideally installers would use HOMER to give customers the confidence that their solar+storage systems will operate in the way contractors have promised. Helping homeowners understand how solar+storage systems actually operate is often a challenge for Arizona solar+storage contractor Sun Valley Solar Solutions. CEO Russ Patzer said many customers falsely think installing a battery will make them totally grid-independent. After that high-level conversation, Sun Valley salespeople use software to tell the real story of how energy storage can help them. “Once we got that mindset changed in the customer, that’s when we could really show them our model for them, what demand will look like in their house, what cost savings they will have and then the features and benefits of having a critical load panel and having it be able to run their refrigerator and some lights in the house,” Patzer said. The company uses Energy Toolbase and Geli for background research but not for comprehensive customer proposals because those programs don’t accurately calculate rates with Arizona’s demand charges in mind, Patzer said. Sun Valley uses a custom-built Excel proposal tool equipped with all of Arizona’s specifics to create proposals. Although the in-house solution works well for Sun Valley, it does require the company to employ an in-house programmer to make sure all the latest rates and information are up to date. On the national scale, Sunrun also uses an internal solution for all aspects of solar+storage deployment, including design and proposal, called BrightPath. “BrightPath was the industry’s first end-to-end platform incorporating a cloud-based design system that automatically generates optimized designs, and it is one of the few tools with the ability to design for batteries,” said Shane Levy, media manager for Sunrun. 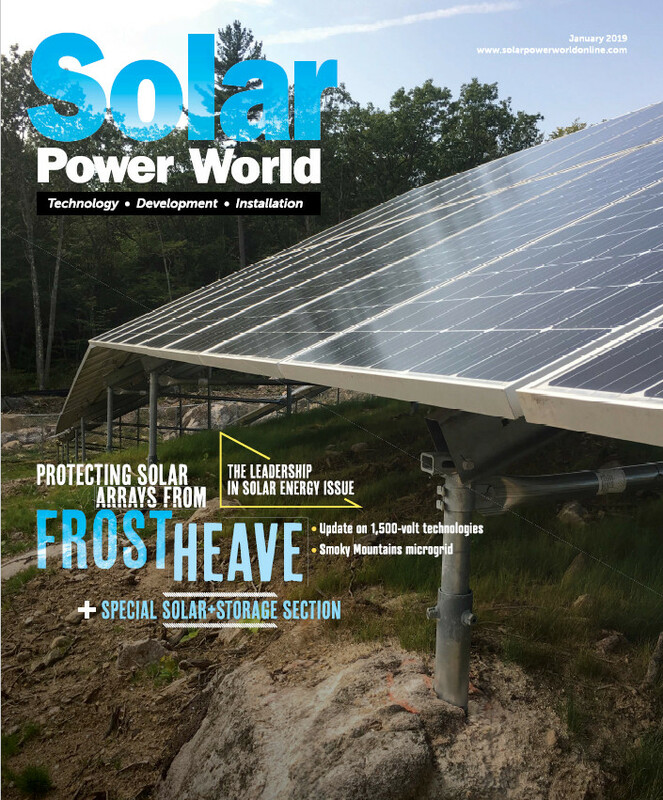 Commercial and utility-scale solar installer ForeFront Power often uses the software that comes with batteries and inverters to sell solar+storage systems to large clients like school districts and universities. These clients are primarily focused on the cost savings value proposition of energy storage, so the company starts with a careful evaluation of a building’s load profile along with any existing or proposed solar generation, said Kateryna Krasynska, director of business development for energy storage at ForeFront Power. Krasynska said designing storage systems can be difficult because of the significant differences in state-level policies and goals for energy storage across the country. “It can sometimes be a challenge to monitor and impact these policies over time in order to offer the best value for our customers,” she said. Still, she thinks customer adoption of energy storage will continue to get easier as developers and system manufacturers get more experience in this new, innovative market. Solar+storage systems are still a bit of a hard sell for contractors who are new to the business, but adopting a smart software strategy to help with proposals can make it a little easier.